The Website is operated and maintained by the Ireland Way® ("the ireland way", "we"). All information provided on this Website is subject to change without notice. While efforts have been made to make this Website helpful and accurate, due to the open nature of this Website, and the potential for errors in the storage and transmission of digital information, Ireland Way® does not warrant the accuracy of information obtained from this Website. Where errors or omissions are brought to the attention of Ireland Way® via the Contact page, amendments will be made as speedily as possible. All materials posted on this website are provided “as is” and without warranties express or implied. Ireland Way® and its agents and the Website creators disclaim to the fullest extent permissible by applicable law all warranties, including without limitation any warranty of merchantability or fitness for a particular purpose. Ireland Way® does not warrant that functions contained on the website will be uninterrupted or error-free, that defects will or can be corrected, or that this website or the server are free of viruses or other harmful components. Ireland Way® does not provide any warranty or representation as to the materials on this website in terms of their correctness, accuracy, reliability, or otherwise, and is not responsible for any material accessed through links to other websites. Similarly, Ireland Way® is not responsible for any third party views or content (which are not compiled by the Ireland Way®) located on the Website. 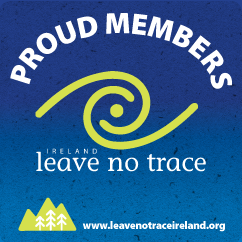 Access to the Website is limited to viewing the linked web pages solely for information purposes to access the information provided by Ireland Way® at this Website. Any access or attempt to access other areas of the Ireland Way® computer system or other information contained on the system for any purposes is strictly prohibited, and the user shall be responsible for any such unauthorised access. You may not use any information contained on the Website other than for information purposes only. We will not be liable if for any reason our Website is unavailable at any time or for the information contained on the Website. This Website may contain trade marks and service marks. All marks are the property of the proprietors of such marks as indicated, unless otherwise provided. All rights in the intellectual property contained in this Website, including copyright, trade marks, trade secret and patent rights, are reserved to Ireland Way® and its suppliers. The editorial content of the Website and all text, graphics, logos, icons, images, audio clips and software is copyright of Ireland Way® and/or the authors, photographers and illustrators who contribute material to the Website, and the user shall not alter or remove any copyright symbol, or any other identification or information, concerning the authorship or ownership of any of the content of the Website. Access to this Website does not constitute a right to copy or use any of the intellectual property of Ireland Way® or its suppliers and users are not permitted to copy, market, resell, distribute, re-transmit, publish, upload, download, store, display in public, alter, or modify the content contained on this Website or otherwise transfer or commercially exploit, in any form, any of the content of the Website. 'Ireland Way' is a Registered Trademark. The user will not use or display the name or logo of Ireland Way®, Ireland Way Guides or any similar name or logo, or act in any way that would imply that the user is an agent of Ireland Way®. This Website may be linked to other Websites that are not maintained by the Ireland Way®. Ireland Way® is not responsible for the content of those Websites. The inclusion of any link to such Websites does not imply endorsement, sponsorship, or recommendation by Ireland Way® of such Websites and Ireland Way® disclaims any warranty (expressed or implied) about the content and operation of these Websites. Ireland Way® disclaims any liability for links: (i) from another website to the Website; and (ii) to another website from the Website. All remarks, suggestions, ideas, graphics or other information communicated to the Ireland Way® through this Website will forever be the property of Ireland Way® and at the free disposal and use of Ireland Way®. Unless otherwise specified in writing, all material submitted to Ireland Way® will be presumed to be public and Ireland Way® will not be required to treat the information as confidential. Ireland Way® shall have exclusive ownership of all present and future existing rights in the information, without compensation to the person sending the information. If any information is confidential do not submit it. Ireland Way® does not take any responsibility for information transmitted via the Website and cannot guarantee that any electronic commerce or communication is totally secure. In no event will the Ireland Way®, its agents or the Website creators be liable for any direct, indirect, incidental, punative, special and consequential damages, loss or liability whatsoever (including without limitation, those resulting from lost profits, lost data or business interruption) arising out of the use, inability to use, or the results of use or reliance on this Website or access to any materials on the Website, any Websites linked to this Website, or the materials or information contained at any or all such Websites, or any failure of performance, error, omission, interruption, defect, delay in transmission, computer virus, or telecommunications failure of this Website, whether based on warranty, contract, tort or any other legal theory and whether or not advised of the possibility of such damages, and even if such loss or damage is caused by the negligence of Ireland Way® or its agents. To the extent permitted by applicable law, if your use of the materials or information from this Website results in the need for servicing, repair or correction of equipment or data, Ireland Way® shall have no liability in respect thereof and you assume all costs thereof. In addition, Ireland Way® shall not have any liability to any person any injury or loss (including personal injury and consequential loss) suffered while participating in events, sports or leisure pursuits described or referred to in the Website. The material in the Website is given for information purposes only and Ireland Way® gives no warranty as to the safety and security of such events, sports and leisure pursuits, or as to the competence of those organising the said sports and leisure pursuits. Certain merchandise and services are available for purchase from third party websites which are linked to this Website ("Chargeable Services"). Ireland Way® shall have no responsibility to the user in respect of Chargeable Services which are supplied by third parties and gives no warranty as to satisfactory quality, merchantability, fitness for purpose or compliance with any description in relation to them. Ireland Way® shall also have no liability to the user in respect of any financial transactions conducted via third party websites which are linked to this Website.